Hi everyone! It's time for a new issue over at Paper Issues...Enamored with Enamel. Our sponsor for this issue is Paper Camellia Kit Club. Some of the PI girls got the chance to work with their January Everyday Life and Add-On kits. We'd love to see your projects! 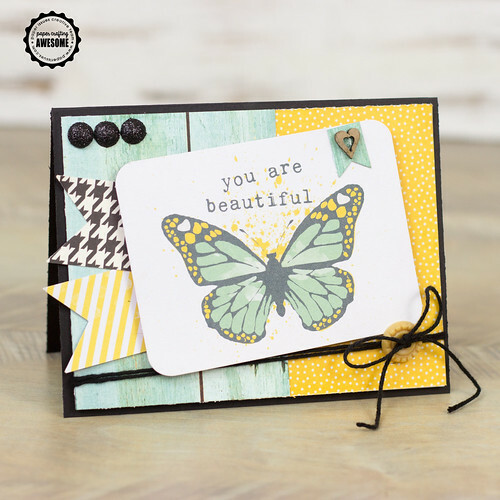 You can link up projects using enamel embellishments, show the love by using hearts on your project or use Paper Camellia products. Click here to link up for a chance to win the Paper Camellia March Main Kit. Such a pretty card. The sentiment looks great. I love these colors! Just a wonderful card design overall! TFS!